Can My Landlord Prohibit Having Marijuana in My Apartment? Various forms of marijuana are now legal in California. However, it is still heavily regulated and illegal based on federal law. This creates a great deal of gray area and questions. If you are a tenant, you may wonder how your right to possess, use, and grow cannabis can be affected by your lease. Does your landlord have the right to dictate that there is no marijuana on the premises? Or can you fully enjoy marijuana so long as you are obeying California law? If you are having trouble with your landlord in relation to your marijuana use or possession, contact our San Francisco tenants’ rights attorneys at Brod Law Firm to learn more about your rights, limitations, and legal options to deal with your current situation. When is Possessing Marijuana Legal in California? Both medical and recreational marijuana are now legal in California. If you have a medical marijuana prescription, you are entitled to have certain amounts and types of cannabis on your person or in your home. If you are over 21, you are also entitled to have up to 28.5 grams on your person or in your home. You can also grow up to six marijuana plants for your personal use, which is currently one of the only legal ways to obtain recreational cannabis since there are no shops open yet. You are only entitled to smoke marijuana or imbibe the drug in private spaces. You should not smoke or take a marijuana-related product in public, and it is illegal to drive under the influence of cannabis. Can Landlords Regulate Tenants’ Marijuana Possession? It would seem like you have every right to grow, possess, smoke, or ingest marijuana in your apartment so long as you are adhering to California’s law. However, this could be a dangerous assumption to make as a renter. 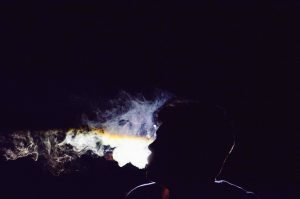 Many rental leases ban smoking on the premises entirely. This includes tobacco-based cigarettes and cigars and marijuana. If your lease says no smoking inside the unit or common areas, then you would need to avoid consuming cannabis the old-fashioned way. Instead, you may have to limit yourself to edibles, oils, and tinctures. However, another lease provision may limit you as well. Many rental leases include a provision that states you cannot have any illegal drugs or controlled substances on the premises. Even if the contract does not specifically state that marijuana is prohibited, landlords can easily say that cannabis is a controlled substance and banned from the premises. Do not assume you are protected if you have a medical marijuana card. Legal protections for individuals with disabilities or painful medical conditions do not extend to medical marijuana use. Does Your Landlord Really Care? Whether or not your landlord cares about your marijuana use entirely depends on your situation. In many cases, a landlord is not concerned with what you do in the privacy of your unit as long as it does not affect your neighbors or the value of their property. However, if your neighbors complain about marijuana smoke or outdoor plants that could be accessible to people under 21, then you could have a problem. If you are facing eviction or other renting issues due to marijuana, contact us at Brod Law Firm today at (800) 427-7020 to schedule a free consultation. We will review your rights under California law and your lease and advise you on the next best steps.